﻿ Hyatt Regency Danang Villa, Da Nang | FROM $1009 - SAVE ON AGODA! "Pool villa is very good." Conveniently located in Da Nang, Hyatt Regency Danang Villa is a great base from which to explore this vibrant city. From here, guests can enjoy easy access to all that the lively city has to offer. With its convenient location, the hotel offers easy access to the city's must-see destinations. At Hyatt Regency Danang Villa, the excellent service and superior facilities make for an unforgettable stay. The hotel offers access to a vast array of services, including 24-hour room service, free Wi-Fi in all rooms, 24-hour security, convenience store, daily housekeeping. Hotel accommodations have been carefully appointed to the highest degree of comfort and convenience. In some of the rooms, guests can find television LCD/plasma screen, free welcome drink, private entrance, towels, separate living room. Throughout the day you can enjoy the relaxing atmosphere of the fitness center, sauna, golf course (within 3 km), outdoor pool, spa. 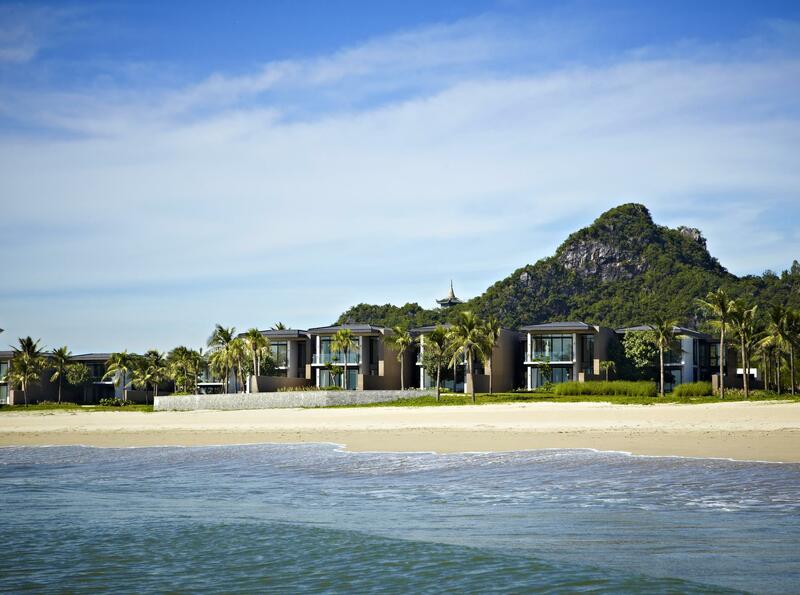 Hyatt Regency Danang Villa is your one-stop destination for quality hotel accommodations in Da Nang. 3베드룸 풀빌라 묵었습니다. 1층에 있는 방은 곰팡이 냄새가 가득하고, 오션뷰도 오션프론트가 아닌 이상 오션이 거의 보이지도 않습니다. 숙소 위생도 썩 별루고, 옆 풀빌라는 오랫동안 관리를 안했는지 풀에 녹조가 잔뜩 껴있더군요. 여기저기 낡은 티도 많이 나고, 화장실은 심하게 미끄럽고, 어메니티도 비누 빼고 그냥 그랬습니다. 클럽라운지는 가격 대비 괜찮았고요. 조식포함이라 해서 그런가보다 했는데, 조식 식사는 클럽라운지 내에서만 할 수있고, 레스토랑 조식은 추가 요금을 따로 내야 했습니다. 같은 가격대에 다른 리조트를 더 추천합니다. 시설과 직원들은 나무랄데 없이 좋았으나 보안과 관련된 이슈가 있어서 여행중간에 숙소를 바꿔야 했습니다. 베트남 설 연휴기간과 겹쳐 걱정을 많이 했는데 하얏트 안에서만 4일동안 쉬면서 놀고 왔습니다. 물가가 외부보다는 쎄다고 하지만 그만큼 서비스 받고 시간 세이브에 위생상 만족할 수 있다면 투자할 만한 가격이라 생각합니다. 날씨가 춥고 비가 와서 수영을 못했지만 시설 및 환경이 매우 만족 스러웠습니다. 아이들이랑 숙소에서 수영하기도 좋았고 음식도 좋았고 다 좋았어요, 다만,, 빌라에서 식사를 하러 가려면 매번 버기를 불러 타고 가야 되는데, 그게 시간이 조금 걸리더라구요. 아기들만 없으면 걸어가면 되었는데 3살 2명에 4살 짜리 아이들이 있으니 걸어다니기가 조금 불편한 것 빼곤 좋았어요.